Just from judging from the title of this review, you guys are probably thinking that I have an obsession with the 3-Series. That can be justified considering that I have reviewed a 1990 M3, 1994 325i, 2001 330i, 2009 328i, 2010 328i, 2011 335i, and a 2013 328i, and now I can add the 1999 328i to the mix. What makes this car so special? 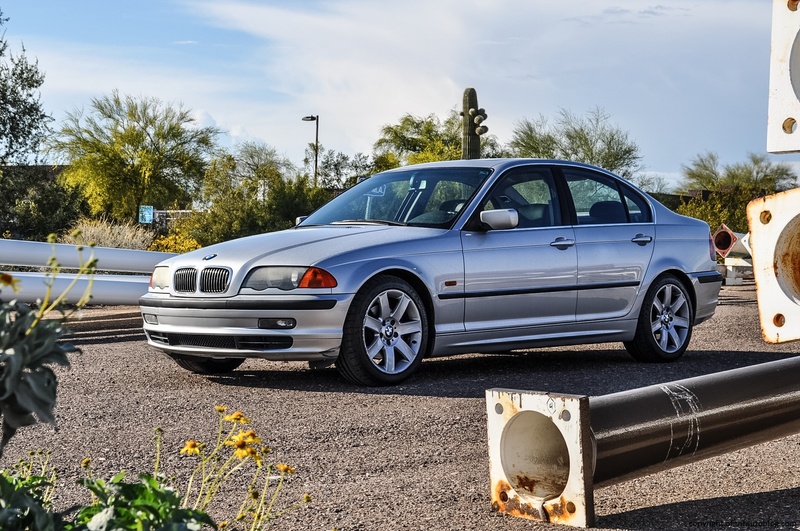 Well for starters, it is a manual transmission model of the coveted E46 generation. 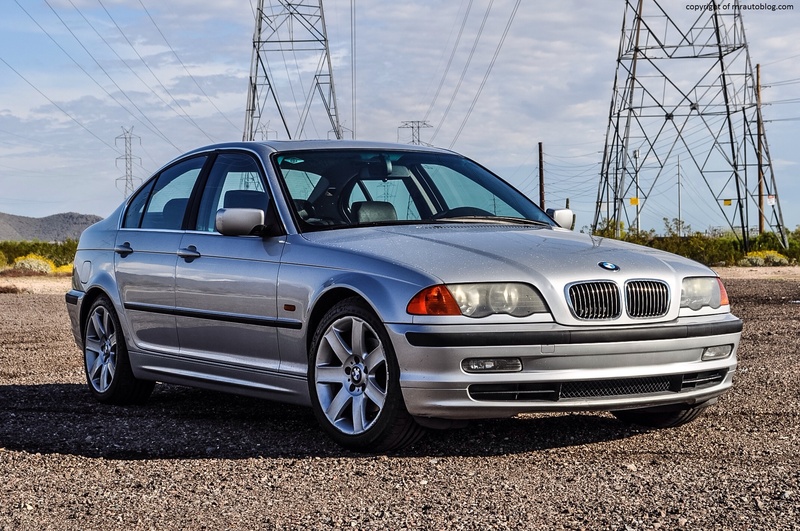 I say coveted because to this day, many car enthusiasts still regard the E46 generation (1999-2005) as one of the finest 3 Series ever produced. 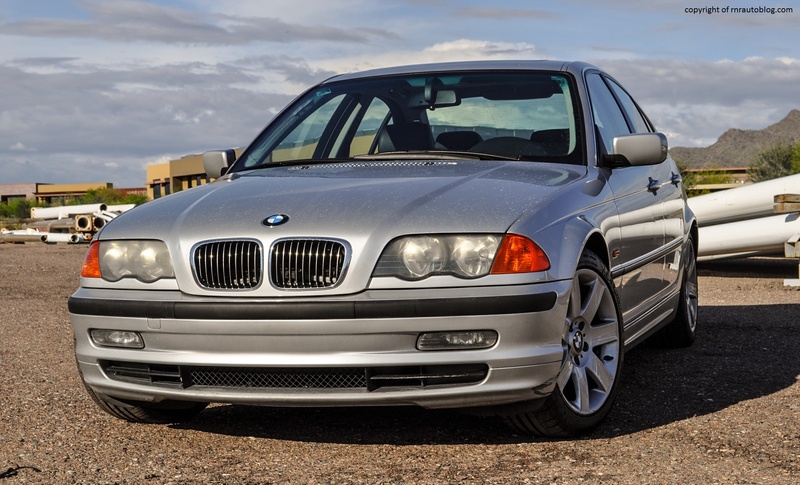 As with most nameplates, the 3-Series grew in size and comfort with every iteration, but this E46 represents a fine balance of what the 3 Series used to be: handling and poise in a right-sized package. Now for the traditional history lesson, the 3-Series debuted during the oil crisis. Replacing the 2002, the first 3 Series, the E21 (1975-1981) generation, was sold only in a two door format as a coupe or convertible. Known for its memorable driving dynamics and perky engines combined with its tidy size, the E21 cemented BMW’s reputation as a maker of ultimate driving machines. Five generations succeeded the E21, and with the exception of the latest 3-Series, the successive generations have all upheld the BMW tradition of providing excellent handling and performance in a luxurious package. 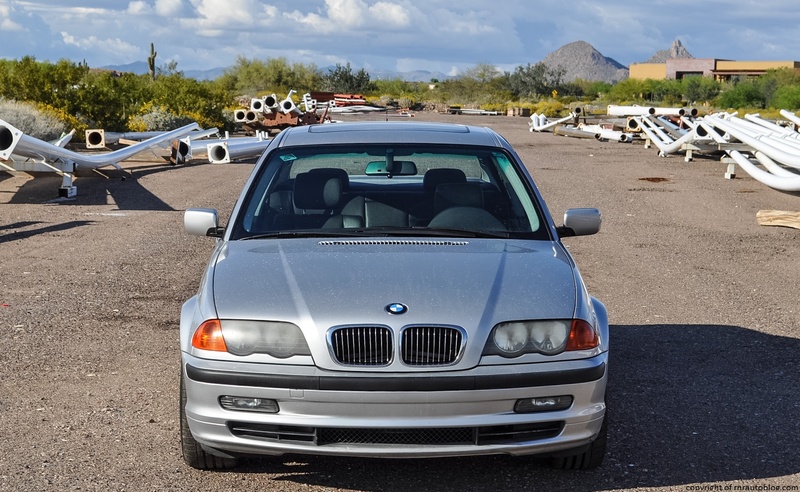 The generation in review is the E46 which debuted in the United States in 1999. 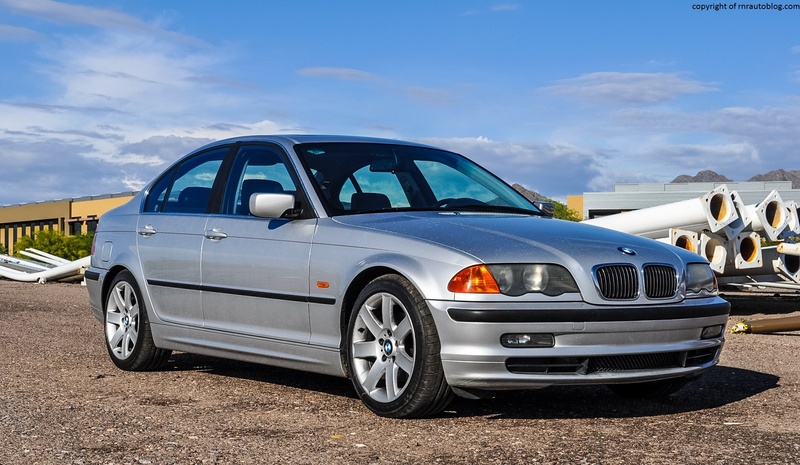 Whereas the previous generation (E36) didn’t deliver the driving experience as expected of a BMW (but it still drove quite well), this generation set a new performance benchmark for its class. This was the car that made other luxury brands take notice, and it is not hard to see why. In 2002, more than 560,000 units were sold worldwide, an impressive achievement for a luxury car. Even though I have already reviewed a 330i some time ago, I wanted to try out the less powerful variant, a 328i, especially with the manual transmission. 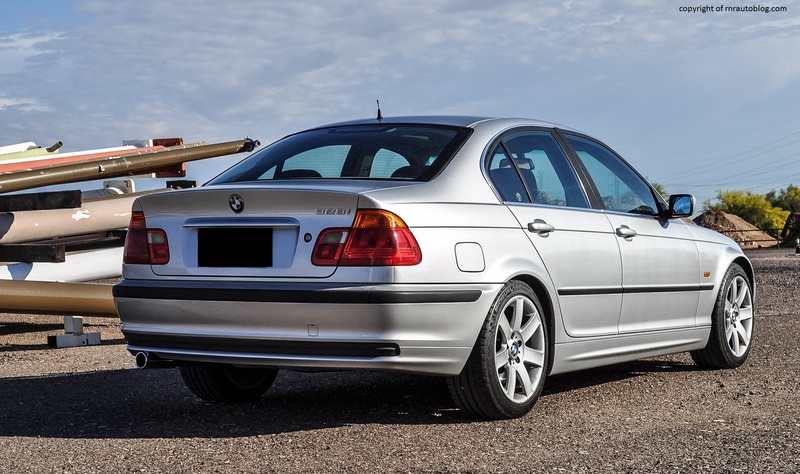 Believe it or not, when the 3 series debuted, it actually faced some backlash over its design. 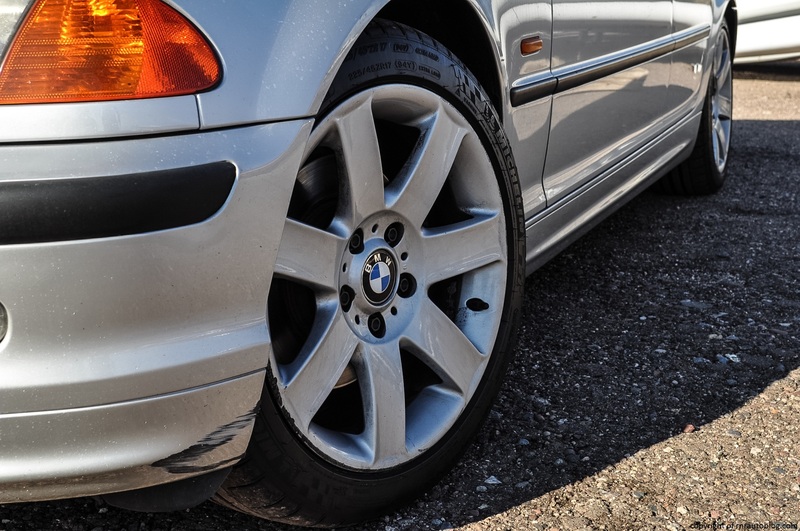 Meant to be an evolutionary take on the previous 3, the E46 features rounded and smoother styling compared to the previous 3s’ traditionally squarish designs. 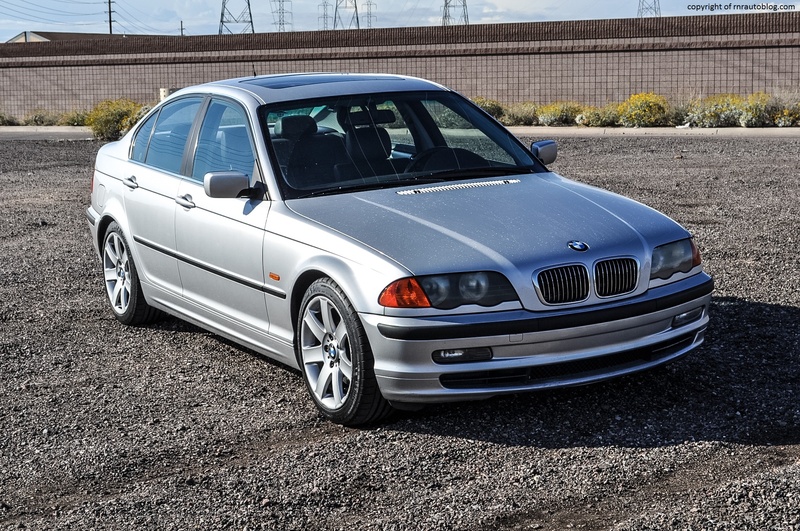 However, as time has passed, the E46 has aged well in my opinion. 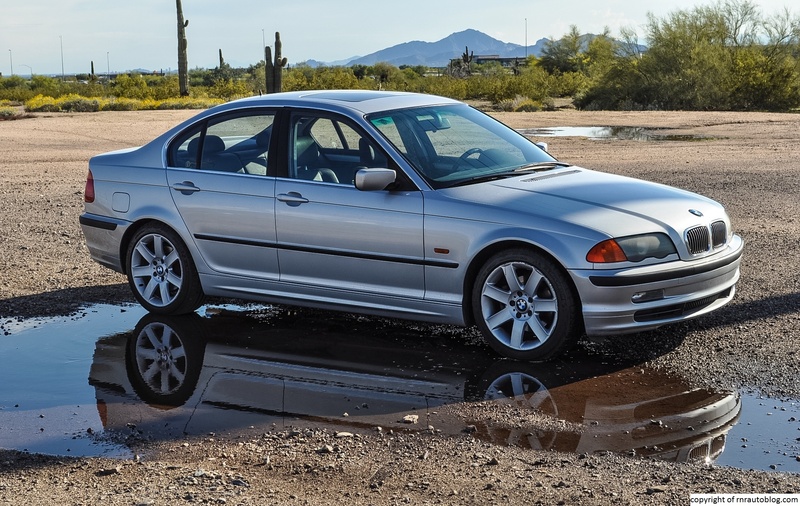 Whereas the latest 3 looks slightly bloated, the E46 features near perfect proportions. It looks light enough to pull off a sporty appearance, yet it looks heavy enough to emphasis traits of safety and robustness. 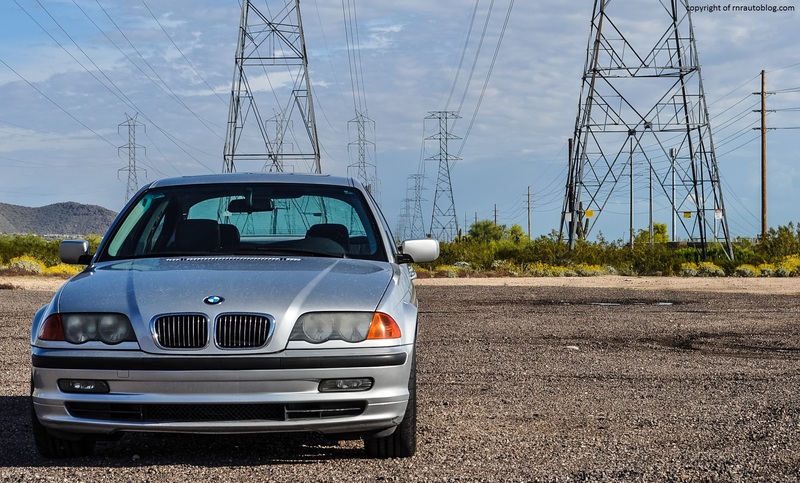 The jewel shaped headlights are complemented by the kidney grille (BMW’s trademark grille design), and I like how the lines drawn from the aforementioned grille are carried over to the hood, giving it a more stately presence. The side profile is utilitarian, but otherwise athletic with a slim profile. 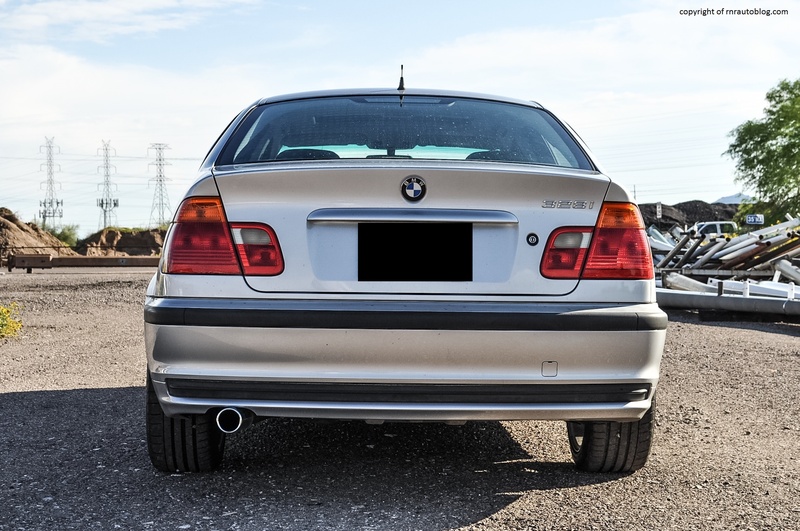 The rear end is as simple as the front, although if you look closer, you can see more details such as the subtle contouring of the bumper and the trunk. If there is one thing I had to nitpick about the design, it would be the rubber moldings all around the car. They detract from the overall design. The interior is somber with dark colors, but the overall appearance is functional yet sporty. 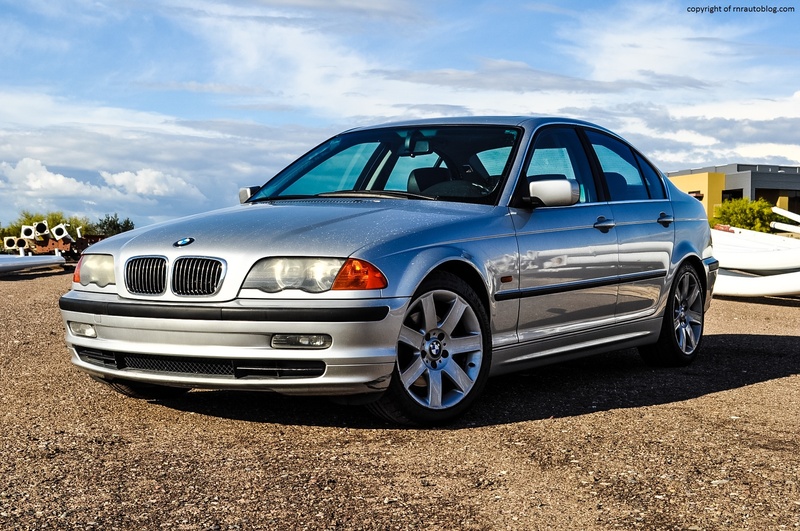 The E46 is regarded as one of the best 3-series ever produced in terms of driving enjoyment, and after driving this car, it is not hard to see why. There is an organic and fluid quality to the way it drives, and this is reflected through its steering. The steering actually feels connected to something, and the car responds as if it is an extension of your body. The reaction is instantaneous, and you are constantly amazed at how the car is able to react with such agility. At first, it is easy to be put off by the heavy steering, a normal thing considering that most cars nowadays have light steering. 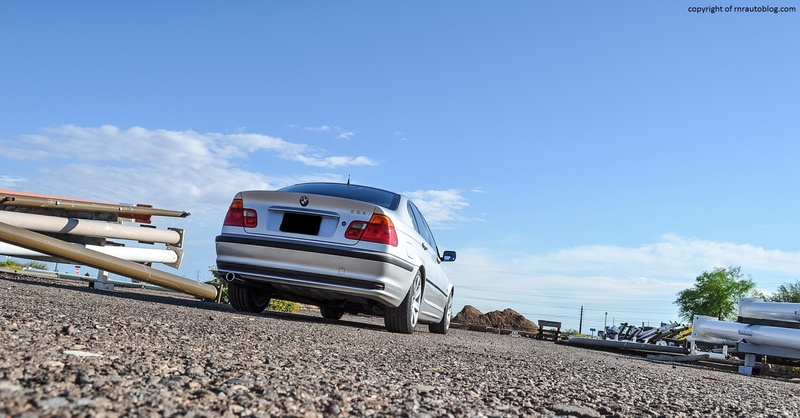 However, as you get used to driving the car, and you get to experience how it handles, you discover that the heavy steering complements its driving behavior well. The steering conveys feedback and sends road textures to your fingertips. When you push it, it is playful yet composed. 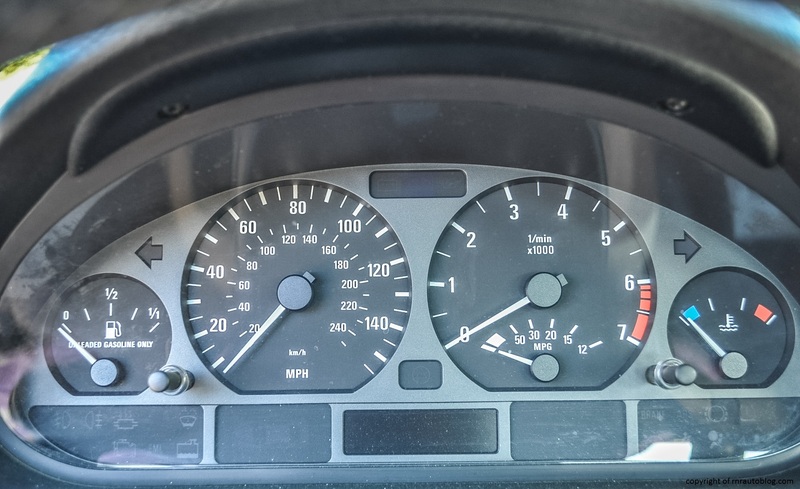 You never feel that the 328i is out of sorts when you engage in any sort of enthusiastic driving. 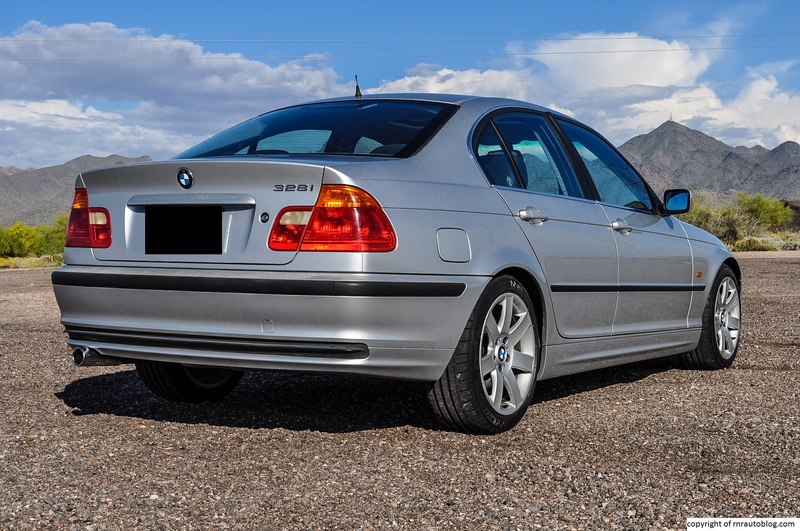 The near perfect weight distribution means that the 328i displays neutral handling when pushed to the limit. If the back end swings out too wide, all that is needed is a flick of the steering wheel to pull it back in line. 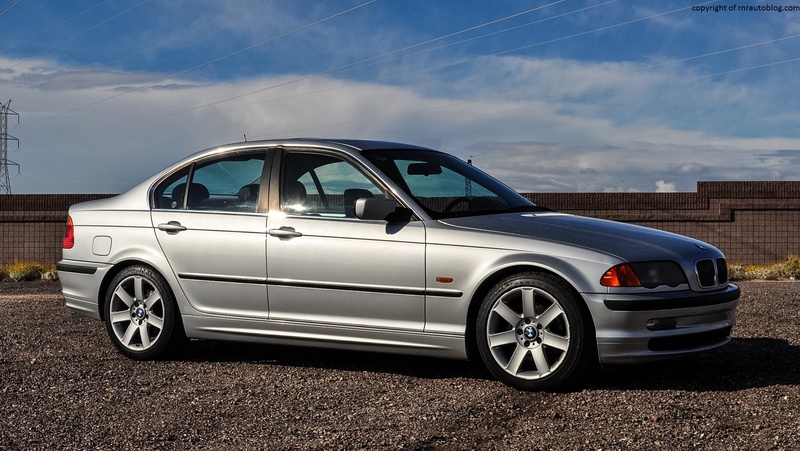 Characteristically of BMWs, especially those from the early 2000s, there is an underlying tautness to the ride. You do feel every bump in the road, no matter how small, but they are never intrusive or uncomfortable. I like to think of it as another way the car is communicating the road to the driver. 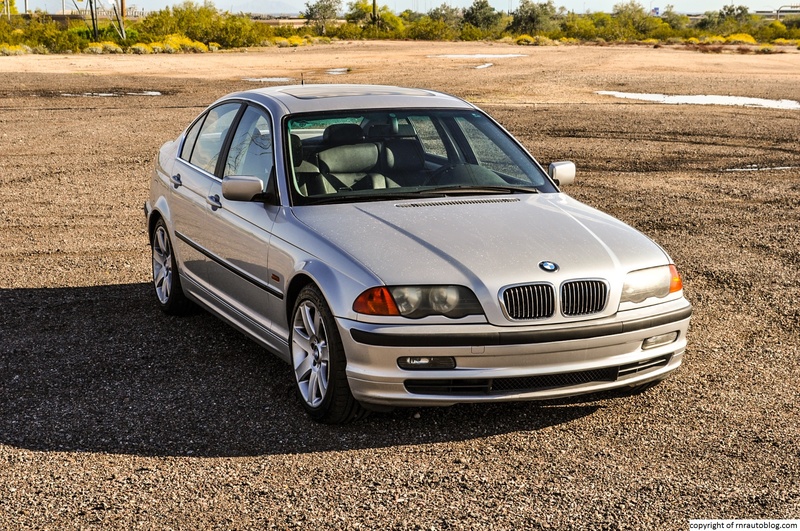 Despite the BMW’s 328i designation, it sports a 2.5 liter cylinder inline six, not a 2.8. The 193 horsepower 2.5 liter is spunky to say the least. While it is not outright fast, it is willing and flexible. It has plenty of torque on reserve, and it is always ready to play. The unparalleled smoothness of the inline six makes it a delight to rev, and it is complemented by an enjoyable five speed manual transmission. 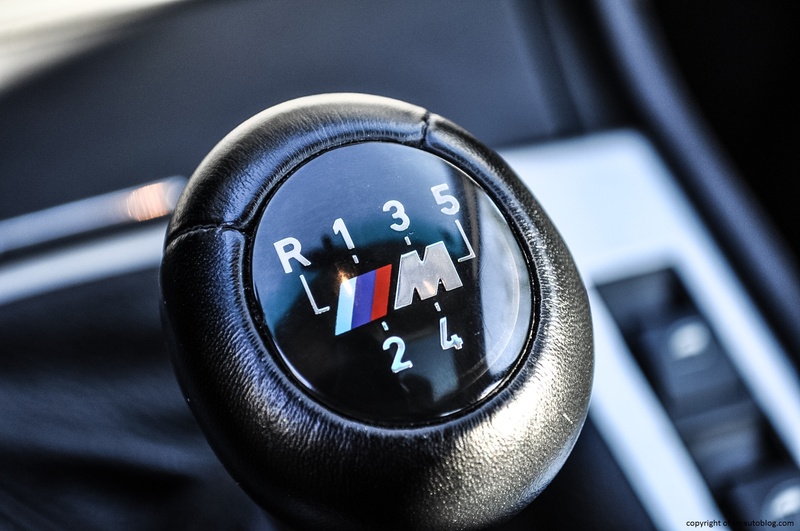 While a five speed automatic transmission was optional (and the more popular transmission in the US), the manual transmission is the better choice for this car, especially considering its sporty nature. It is also proven to be more reliable than the automatic, and it garners one better city and two better highway mpgs for rating of 20 city and 29 highway. The clutch is weighty with decent feel, and the shifter if a bit notchy, is a pleasure to use with well sorted ratios and short throws. 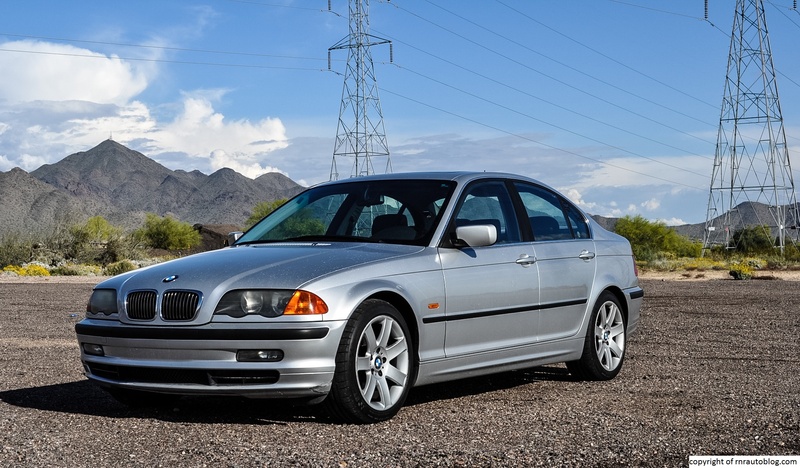 The 328i was replaced by the 325i in 2000, but those looking for more power (at a hefty price increase) will be pleased with the 330i which featured a twin turbocharged inline six making 225 horsepower. The owner of this car clipped the resonators off of this car, so it is no surprise that it’s even more audible than normal. The standard car already has a nice tune; this car just allows you to hear it in better volume. With that said, with rpms low, the engine settles into the background with a subtle hum, but mash the throttle, and it just grunts. But as with BMW’s inline six cylinder engines, they always manage to sound harmonious despite the grunting. What a phenomenon. The car itself is a tad noisy as you are always aware of the road surface auditorily, and there is some wind noise at high speed. 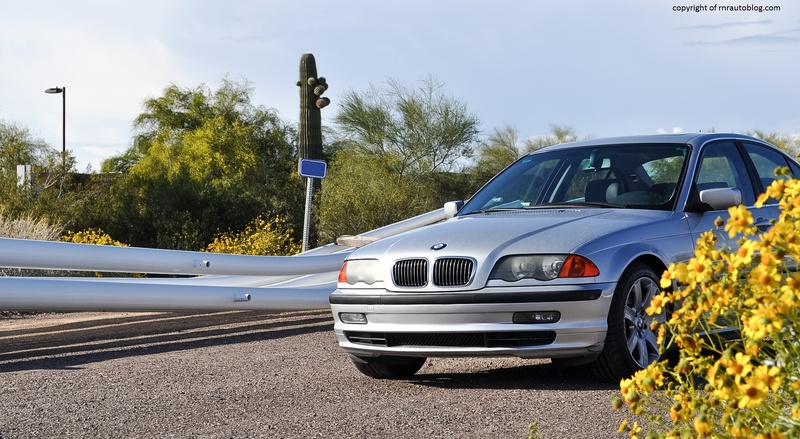 But bottom line is unless you’re looking for a super quiet environment, the 328i is easy to live with. 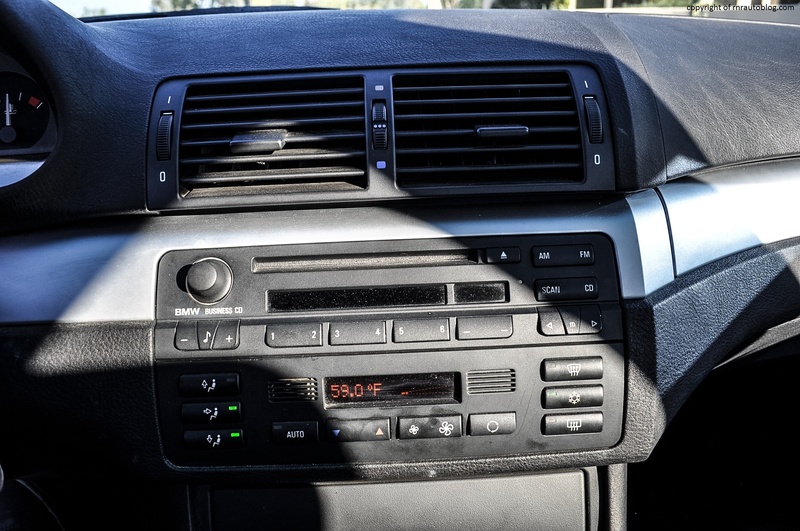 Despite the car being 16 years old, the interior displays flawless fit and finish. Soft touch surfaces and reassuring switches form an impression that the interior will stand the test of time. The controls are intuitive and easy to learn, although the small labeling can make it hard to discern from a glance. The subtle orientation of the controls towards the driver helps with ease of use, and the gauges are legible enough. In the front, there is enough room for an average height person to get comfortable, although I found that my right leg kept brushing up against the center console. Visibility is decent, and the slim pillars ensure a good view all around. As for the rear, there is a reason that you would not consider this a family car; it is really cramped. There is not much headroom nor leg room, and it is more of a four seater than a five seater. However, the trunk is suitable for a car of this size. Access is tolerable, and as for finding a driving position, the BMW just seems to accommodate your every need. You just feel at home when you sit in the seat. The steering is just right, the pedals are spaced just right, the gear shifter is placed conveniently, and the seats are superb. My favorite feature of the interior are the window switches which are placed on the center console by the shifter. I wish that BMW still incorporated this feature in its current lineup. My father drives an E90 (2006-2011 generation) 328i, which is an absolute joy to drive despite the fact that it is an automatic (gasp!). 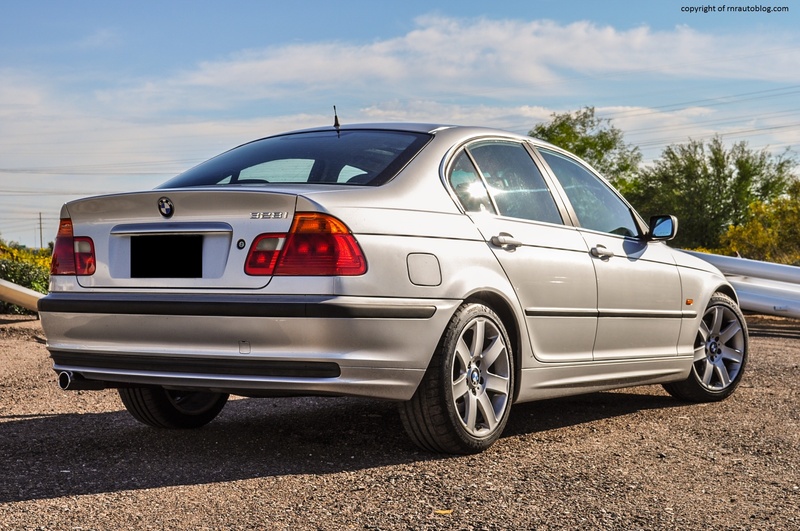 However, after having the chance to drive an E30, E36, and E46, the E90 just seems too big and diluted. I also hate the fact that whenever I drive it, I get embarrassed of being in what is associated as a “stereotypical young adult showoff car.” I know that I should not care about how people percieve me based on what I drive, and for the most part, I could care less. 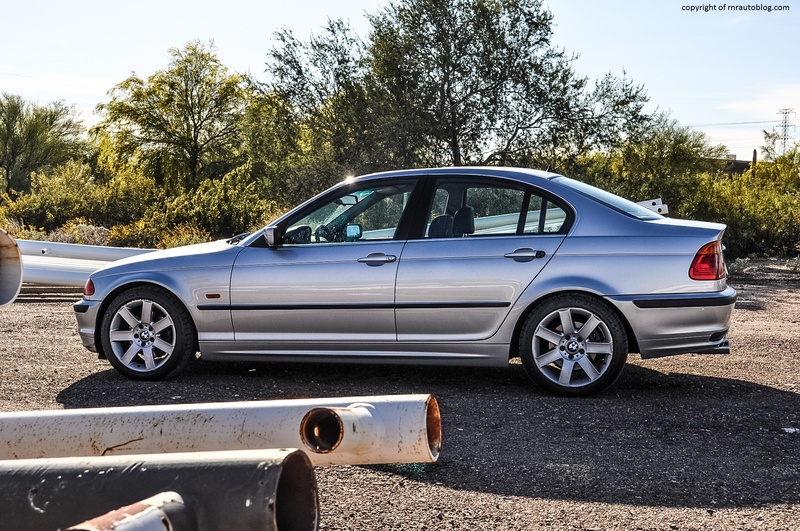 However, for some reason the stigma associated with BMWs is felt heavily when I drive the E90. For that reason, you could say I disrespect the E90 slightly. 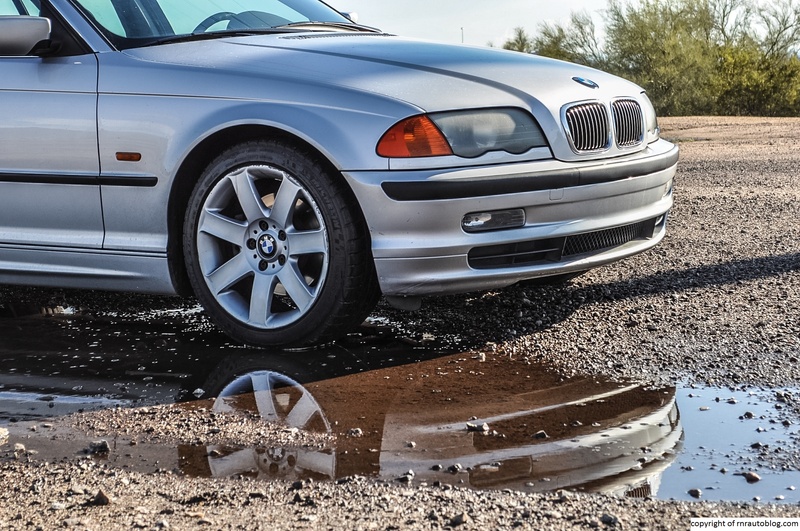 This is due to the fact that it is conforming more to the people who like BMWs more for the image, and not for the driving experience that BMWs used to offer. You feel this especially with the F30. However, with the E46, I can’t help but feel respect for this generation. When you drive this car, you are just consistently amazed by how despite its age, the car surpasses your expectations, and then some. It is a proper BMW. Design wise, it is handsome and simple, and it is built well, and if you can handle the high cost of maintenance and minor reliability issues, it will last for a while. 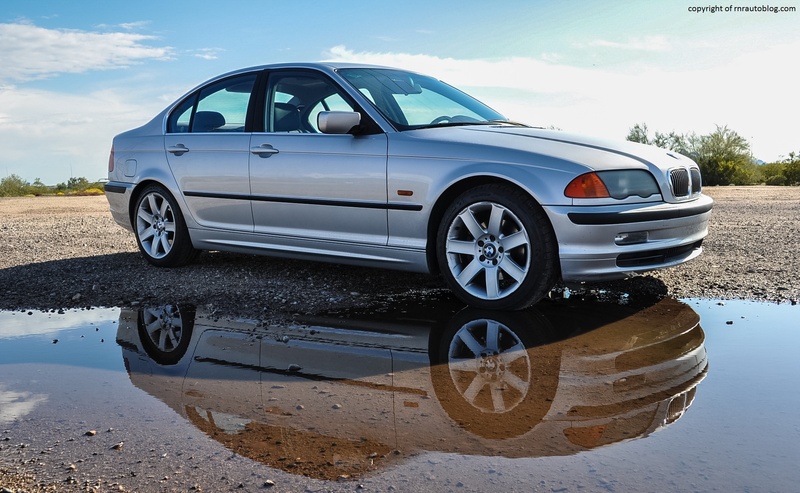 There is just something about old BMWs, I cannot help but not think whenever I see a BMW from the 1990s, “Wow, that’s a sweet car.” It is that fantastic to drive. 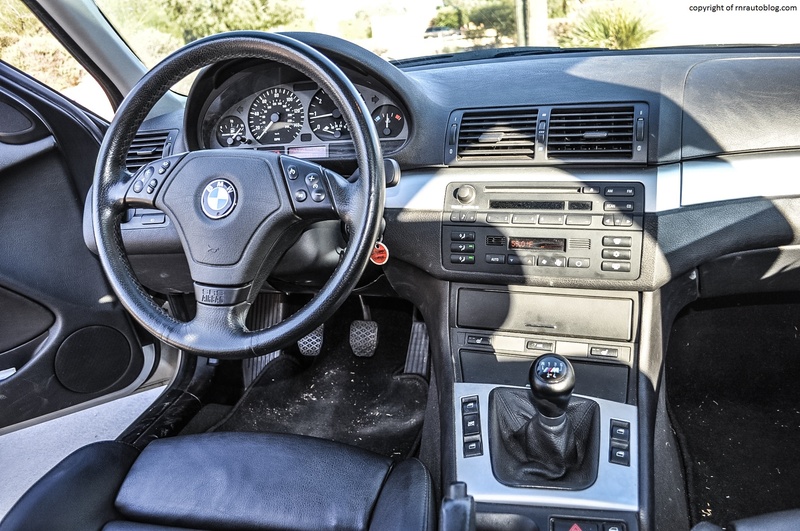 This E46 represents one of the best BMWs ever made (provided that it is equipped with the manual). 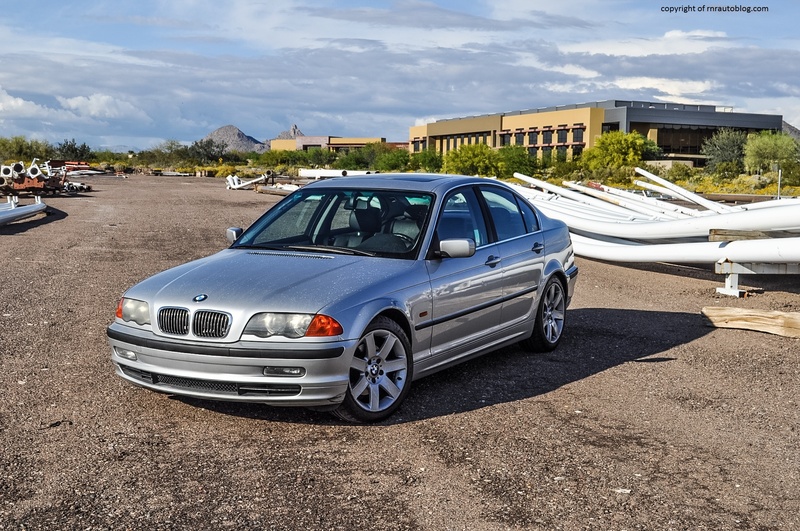 The E46 is still my favorite 3 series!